Introducing Moondance, a lovely beaded lace capelet. 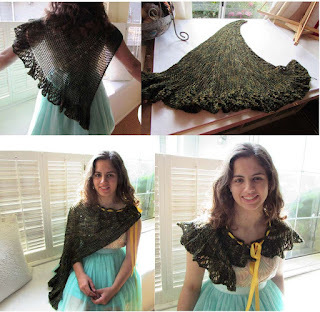 For the month of July, Cindwood Crafts is giving away Moondance as a free pattern! Moondance comes in two sizes, and is made on a round 1/2 inch loom with 90 or 120 pegs. If you live in the EU, email Cindwood and tell them your country of orgin and email address, and they will email you the pattern. It may take a few days. The Travel by Rail Shawl loom-a-long has begun in the Ravelry Loom-a-long group, and my special price for the set of all three Travel by Rail patterns continues through July. See the previous post for all the details and links. 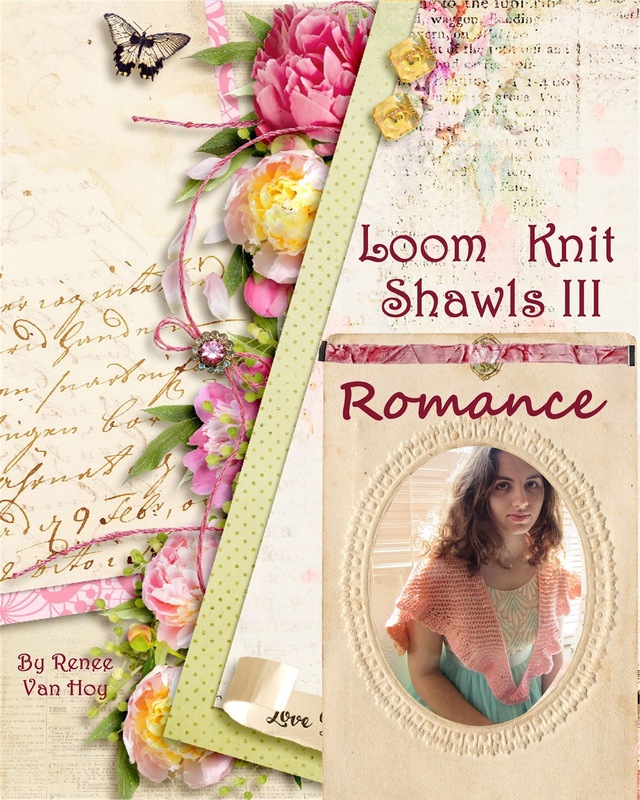 And don't forget my new shawl collection, Loom Knit Shawls III: Romance. Six beautiful shawl patterns for loom knitters.This photo shows the April Lady shawl with beads. Copyright 2015 Renee Van Hoy, Invisible Loom. All Rights Reserved. Do not copy or distribute.